Q. What are the best places in Alaska to see Mt. McKinley (Mt. Denali)? A. Talkeetna and Denali State Park. Q. What kind of wildlife can I expect to see on my trip to Alaska? A. Bears, moose, caribou and more. 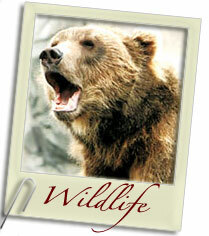 See Alaska Wildlife and Marine Life. Q. How can I keep food safe from bears when I'm hiking or camping? A. The best way is with a bear-proof container. See the Denali National Park section for more. Q. Where in Alaska can I grow enormous vegetables? A. This is possible in many areas, but Palmer in particular is famous for oversized veggies. Q. Where did President Warren Harding drive the "Golden Spike" to celebrate the completion of the railroad from Anchorage to Fairbanks? A. In the little town of Nenana, which he visited shortly before his death with his wife and --scandalously -- his mistress. Q. What was once the primary road of rural Alaska, and what cities did it connect? A. The Richardson Highway, which also provided the route for the Trans-Alaska pipeline. This highway connected (and still connects) the cities of Valdez and Fairbanks. You can read about its construction in the Fairbanks section. Q. What is Alaska's largest city? Q. 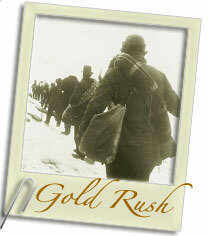 What gold mines are within driving distance of Anchorage? A. 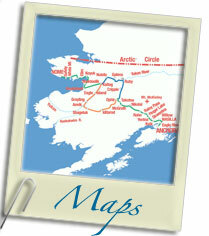 Check out the Gold Mines Within Driving Distance of Anchorage Map for the answer to this one. Q. Where was the movie "Runaway Train" filmed? Q. What are the best places to fish along the Kenai River? A. Take a look at the Kenai River Fishing Map for the answer. Q. What's America's (and Alaska's) westernmost highway point? A. Anchor Point on Alaska's Kenai Peninsula. Q. What Alaska town was completely destroyed in the 1969 "Good Friday" Earthquake? Q. What Alaska towns were partially destroyed by the earthquake, but survived and are now thriving today? A. Anchorage, Seward, and Valdez. A. A basket, turned by a river's current, that scoops up fish. See the Copper River Country section for a brief description. Q. What are the most accessible glaciers on the road system? A. Worthington Glacier on the road to Valdez, Matanuska Glacier on the Glenn Highway, and the Harding Icefield near Seward. Q. What's North America's largest active volcano? A. Mt. Wrangell, which has been measured at 14,163 feet. See the section on Slana in Copper River Country for a brief description of what it was like to homestead in its shadow. Q. What's the United States' largest National Park? Where is it? A. Wrangell-St. Elias National Park. It's located in Eastern Alaska, and among its key access points are the towns of McCarthy and Kennicott. Q. What's the United States' northernmost ice-free port? Q. Where can I find a toilet in Chitina? A. That's a tricky one. 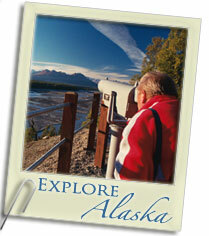 Got questions about Alaska? Chances are you'll find answers here at SLED (Alaska's "Statewide Library Electronic Doorway"). 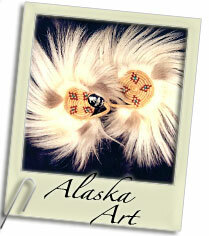 Covers everything from "diamond willow" to the Trans-Alaska Pipeline. © Northcountry Communications 1990-2010. | Site design by Luke Weld.